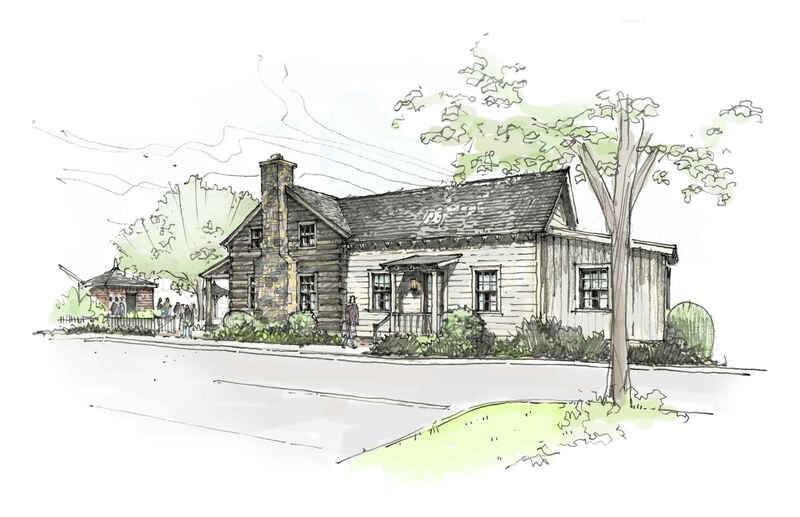 Cobb Landmarks is embarking on a $685,000 capital expansion project that will enlarge the William Root House campus, adding a smokehouse, exhibit/event space, executive offices, a research library and conference room, public restrooms, and a kitchen. Cobb Landmarks has been successful in attracting thousands of preservationists, tourists, teachers, college students, and school-age children to the Root House Museum every year. However, a lack of space limits the types of programs and number of visitors Cobb Landmarks can accommodate. The addition of these structures will allow Cobb Landmarks to begin hosting temporary and traveling exhibitions, lectures, and educational programs, which will increase visitation. The property occupied by the William Root House is leased to Cobb Landmarks from the City of Marietta. On November 21, 2016, Cobb Landmarks presented a request to the City of Marietta for an additional .082 acres located immediately adjacent to the Root House. The request was approved and finalized at the City Council Meeting on December 14, 2016. An early estimate for construction is $685,000. Cobb Landmarks does not plan to incur any debt related to this project. We hope to complete construction by 2020. Looking forward to the continuing evolution of this project. Know this effort is important to my Dad, Frank Baltz, so wanted to provide this gift in his honor.